One of the most important components of any computer is the BIOS, that is in charge of giving the motherboard the appropriate orders so as to load the operating system on the RAM memory. 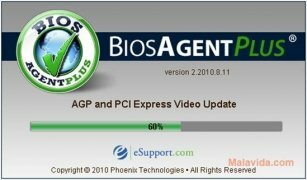 To be able to know if a computer's BIOS is up-to-date, the best idea is to have a program like BIOS Agent installed. This program scans the computer to recognize the BIOS that is currently installed, and after that it searches the Internet to find out if there is any update available. As well as the BIOS, this program also detects all the operating system drivers and checks if there is any update. Once it has found out if there are any updates available, the program will show the results by means of the operating system's default Internet browser, because it lacks an interface. 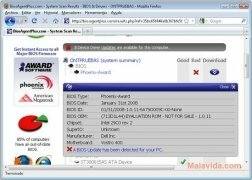 On the results page the program offers the possibility to download both the BIOS as well as the drivers (this download service is only available prior payment of a monthly instalment to the developers of this software). Therefore, if you want to know if both your BIOS as well as your drivers are up to date, download and install BIOS Agent, it is free and very easy to use. This download requires an Internet connection to check if there are new versions of the BIOS and the drivers.